The New York Daily News reported today that a dad in Montana helped cure his 2-year-old son’s massive brain tumor with cannabis oil. 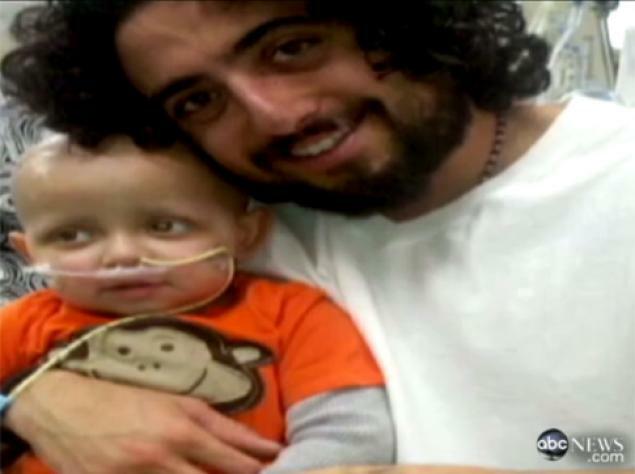 Mike Hyde, 27, watched helplessly as his son Cash suffered after aggressive chemotherapy treatments. The boy stopped eating for 40 days. He threw up 10 times a day. And on top of that, he suffered septic shock, a stroke and internal hemorrhaging. 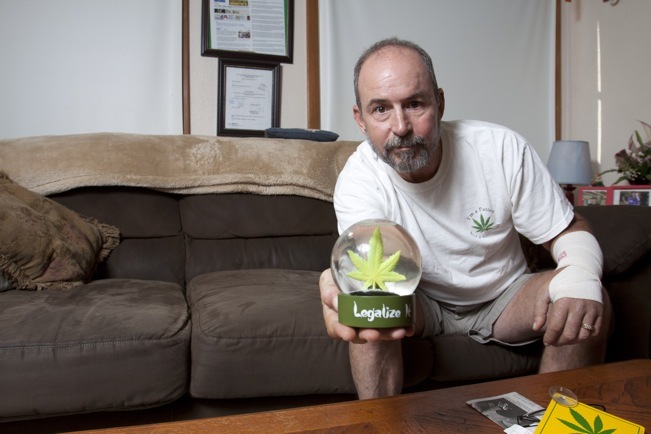 Hyde was a medical marijuana patient himself, using cannabis to treat his ADD. And he got a medical marijuana card for Cash in 2010 after discovering he had a malignant brain tumor on his optic nerve. So Hyde added small amounts of cannabis oil into Cash’s feeding tube, hoping it would help. And it did. In just two weeks, Cash was weaned off all of the nausea drugs, that weren’t really working anyway. And he was eating again, and sitting up and laughing, according to his father. He made a miraculous recovery in the fall. Hyde called it a godsend. The unfortunate side of this story is that Hyde was unable to tell his doctors about the cannabis oil. Even though he and his son were legal Montana medical marijuana patients in their home state, Cash was being treated in Utah, where there are no medical marijuana laws allowing for the use of cannabis. Here we have a boy in desperate need of a medicine, which actually miraculously helped save his life. Yet, his father had to sneak around in fear they would confiscate his medicine. That doesn’t sound like they live in a free country with a progressive health care system, does it? When it comes down to it, cannabis worked for little Cash. 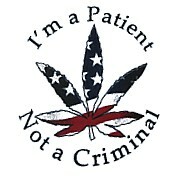 And it works for countless medical marijuana patients across the country. Even if you don’t want to legalize marijuana, if your child was sick, wouldn’t you want to try anything possible? And wouldn’t you want all options to be legal and safe, and to be able to talk freely with your physicians about it? We sure would. Tags: 2 year old, aggressive chemotherapy treatments, Cancer, Cash, Hyde, Medical Marijuana, Mike, Montana, Toddler’s Cancer.